The road to bringing Android apps to Chromebooks has been bumpy to say the least but progress has been made and most modern Chromebooks are now capable of running them. The problem is that it’s not always done gracefully or as you'd expect. 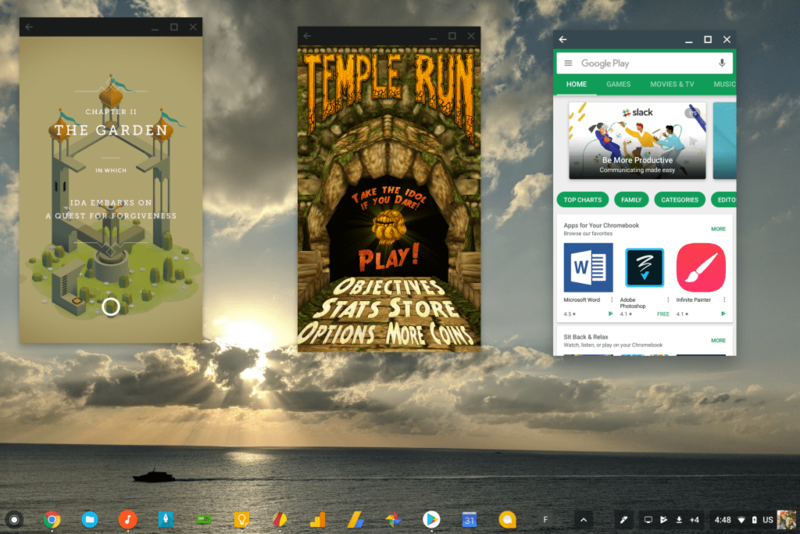 Running Android apps on Chrome OS can be hit or miss. One of the biggest shortcomings has to do with multitasking. It’s technically possible to run multiple Android apps at once in Chrome OS but you’ll quickly notice that only the primary, in-focus app is active. There are a few exceptions to this rule (Spotify will continue to play when it’s not in focus, for example) but most apps are paused when they aren’t in focus. That’s fine on a mobile device like a smartphone but for people coming from a traditional system like a desktop, it can be quite annoying. Fortunately, Google is addressing the shortcoming in Chrome OS 64. The software, which is still in beta, introduces a feature called Android Parallel Tasks that keeps everything running and active until you manually press pause or close the app. Chrome Unboxed recently published a video showing the feature in action on an Acer Chromebook 15 next to a Pixelbook running the stable release of Chrome OS 63 (sans Android Parallel Tasks). The feature should be rolling out in the next stable update although keep in mind that there are no guarantees. Sometimes, beta features don’t make it into the final stable release at all although in this case, I can’t see why Google wouldn’t add it.